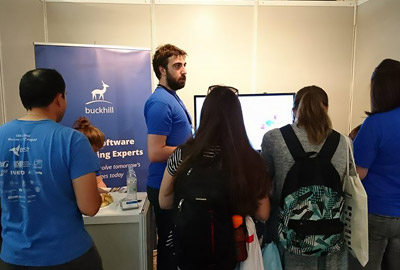 On the 17th and 18th of May 2017 we presented at Job Fair in Zagreb with 92 other companies, alongside Google, AWS and ARM. Job Fair is an annual event organised by the FER Career Center at the Faculty of Electrical Engineering and Computing, University of Zagreb (FER - http://www.fer.unizg.hr/) and their student organisation, KSET. The main purpose of this event was to connect prospective students with potential employers, both for internships and ongoing full time employment. 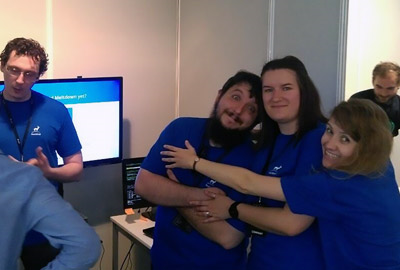 In that respect it was a great success, as many students came and visited us at our stand and talked with our team. They asked a lot of varied questions about the different technologies we use, the company culture and our products and services. Many of them played MeltDown, a fun contextual game we made for the event, designed to demonstrate different Multi-Factor technologies and their varied use cases. Players were given 5 minutes (later we extended this to 10, as it was a bit difficult!) 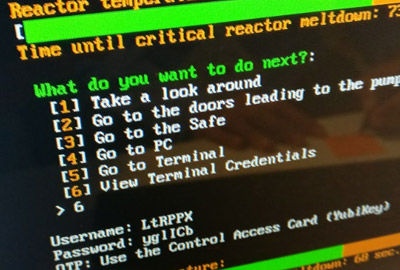 to navigate through a series of challenges after a power plant was attacked by ransomware, encrypting the computer systems. The players had to unlock doors, computers and a safe, with the final challenge to re-enable the water pumps to avert disaster. The game required players to use their phones and a YubiKey, to generate the required one-time passwords to proceed through the set of challenges. 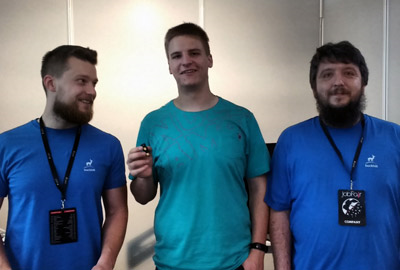 The fastest player was awarded a YubiKey MFA device, manufactured by Yubico. 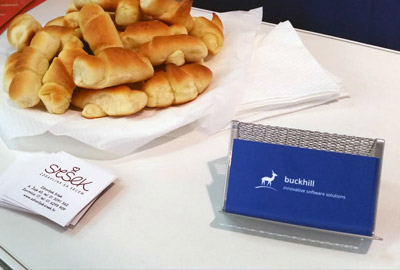 Other participants won Buckhill branded t-shirts and took snacks provided by our generous stand sponsor - Sršek. 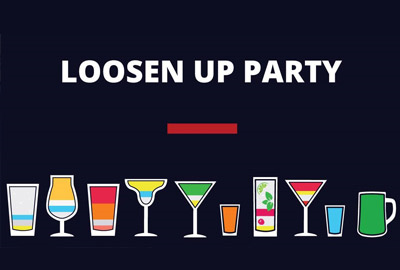 At the end of the first day we relaxed with other students and participants at the “Loosen up party”. We sponsored a cocktail, aptly named “Blue Buck”, which was the first to sell out! 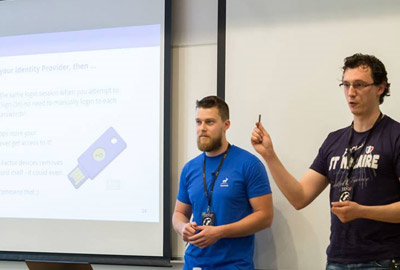 On second day of the event we hosted a presentation about Multi-factor Authentication, Identity Access Management and the future of user security on the web. We would like to thank FER for organising this brilliant event which gave us opportunity to meet and interact with numerous prospective students, many of which requested internships and future employment opportunities. You can see more pictures on our official Facebook page. 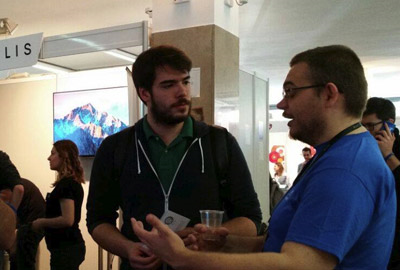 Mirko Moguljak, Implementation Manager, who presented on the second day, had a few words to share about Job Fair. “All the students which we talked to were very well informed about the latest technologies and I’m sure that they will become excellent engineers once they finish college. We were asked very interesting questions about the technologies that we use, things that we do and the projects that we are working on. I would like to thank Filip Ptiček who was our contact during the festival in the name of the entire Buckhill team. We didn’t experience any difficulties through the entire event which is a reflection of the good job that organisers did. “Studenti s kojima smo razgovarali vrlo su informirani o novim tehnologijama i siguran sam da će nakon završetka studija biti izvrsni inženjeri. Postavljali su nam zanimljiva pitanja vezana uz tehnologije koje koristimo i projektima na kojima radimo. U ime Buckhilla zahvalio bih Filipu Ptičeku koji je bio naša kontakt osoba tijekom planiranja sajma te naš asistent tijekom odvijanja sajma. Sajam se odvijao bez poteškoća što je odraz kvalitetne organizacije koju su odradili organizatori.